Becoming a bit of a warmwater guy lately, I guess. Only have a few trout trips in this year. Been staying mainly with the bass and other warmwater fish. In this case the fish below Chickamauga Dam. Never know what you'll get into down there. 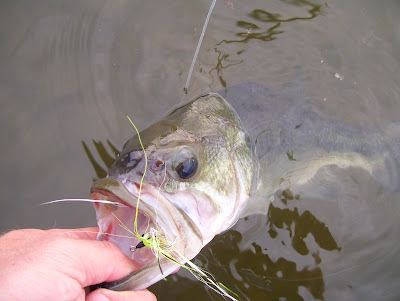 This time of year schools of spotted bass come through all day long banging into the thick balls of threadfin shad that are in there. A few skipjack are also moving in right now as the hot weather really sets in. And, if you're lucky, the heavy thick-bodied hybrids will move in around sunset. I've been catching them in the 1-2 lb range, but I've heard on good authority that sometimes 4 and 5 pounders will move in. Man, good times.